It’s the reason you’re getting married in November instead of the lovely hot summer. It’s the reason you’ve been practicing slants in a swamp for months, when even the polar bears are inside watching Frozen. And today…it’s here. Sort of. 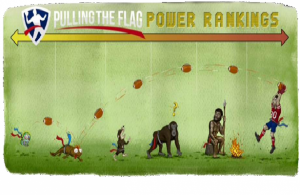 At Pulling the Flag, we live for flag football. So we’re happy to bring you the teams that will be battling it out for the 2015 BritBowl crown, plus an idea of where they’ll be playing over the next few months. Teams will be receiving separate emails from BAFA this morning with important info on their upcoming seasons. We’ll get into the ground-rules in a bit. But first: The bit you’ve been waiting for. The Highland North was a war for the ages last year, pitting the Grangemouth Broncos, Aberdeen Oilcats and Glasgow Hornets into a furious race for two playoff spots. The Broncos and Oilcats ended up making it on the last day, and the latter sprung a mild surprise by getting all the way to the Britbowl semi-final itself and surging to a first-half lead against the eventual champions from Cardiff. The big news: One of those three has left the nest. While Aberdeen and Glasgow remain in the North, Grangemouth are heading into the South to fill the void left by the Carluke Cobras. But there’s a fresh challenge awaiting in the North, as the West Coast Trojans return to the league after a one-year absence sparked by fixture problems. Dunfermline has been busy this offseason. Aside from getting some training tips from members of the legendary Kirkcaldy Bulls (neat), Carnegie American Football Club now have two teams in this conference: The 2014 rookie Carnegie Steelers, and a new outfit called the Carnegie Reapers. And what’s more, they’ve got a fresh-faced city rival in the form of the Dunfermline Revolution. Spicy. The North is rounded off by the Dunbeth Dragons, a new outfit who have been getting game practice by playing in tournaments in hostile marshland over the winter. They may have grown gills by now. In the South, Newcastle will be looking to return to the playoffs after finishing as runners-up in their group last year. 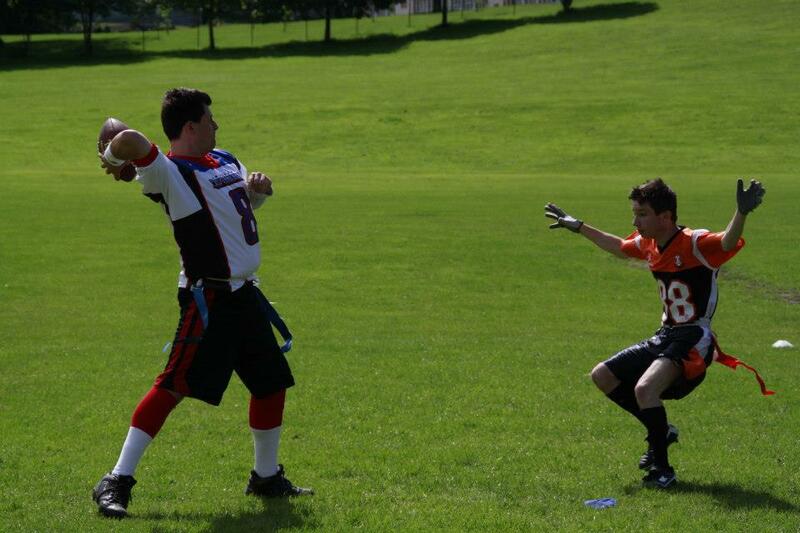 However, 2014 division rivals Edinburgh will get another crack at them. And former Outlaw Neil Warren will be looking to guide the rookie West Lothian Astros into that pack to mix things up. There are only two changes to this conference. But one of them is a HUGE one. See if you can spot it. It’s August 24 2014. 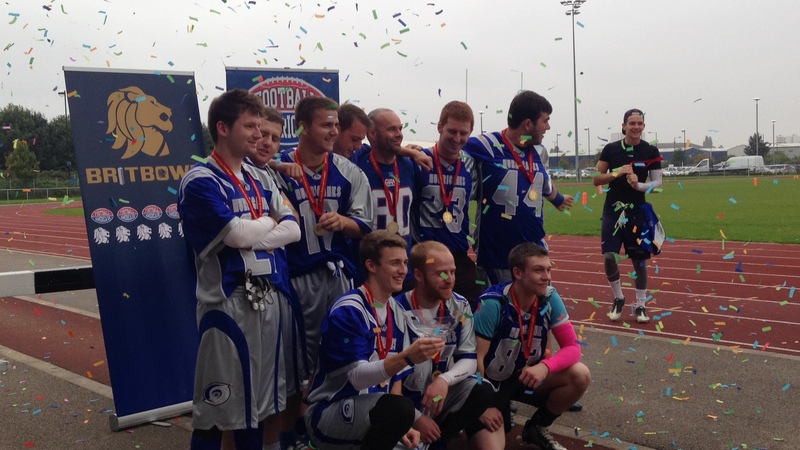 The unbeaten Sheffield Predators are one step from Britbowl, and in their way? The 2013 finalists – and their bogey team – The Woodham Warriors. 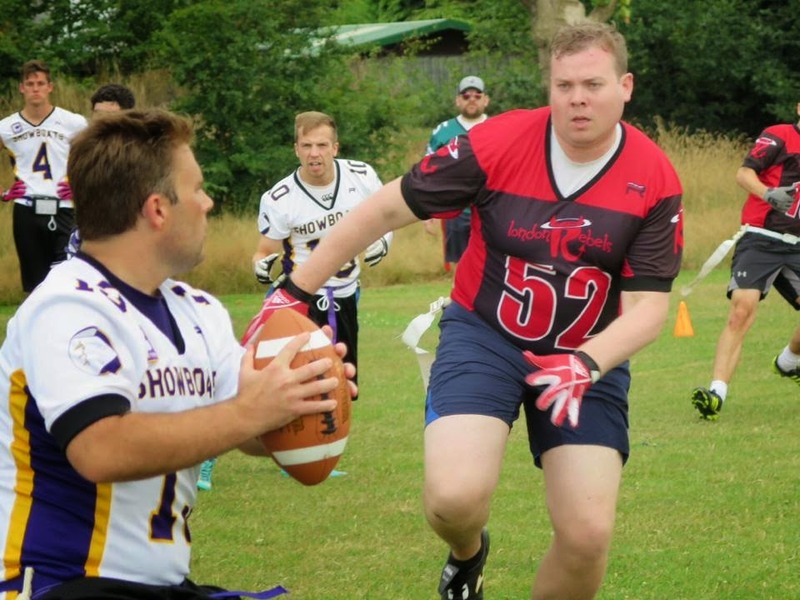 In a game filled with incident, controversy and even an ejection, the Preds went through, and made it as far as the Britbowl final itself. Meanwhile, rumours swirled that Woodham were “retiring”. And it very nearly happened. However, they’re not just back: They’re in the Predators’ conference. Inter-conference matchups between those two should be juicy to say the least, and Woodham’s imminent arrival will almost certainly keep the teams of the MEC North up at night. Otherwise, the North is the same as the one that finished the 2014 season. The Vipers will be looking to return to the knockouts, while a young Calderdale side will have to improve on last season’s 4-6 record to make it in this time. The Burnley Tornados and Leeds Samurai round out the division. In the South, the Predators remain the team to beat. The Honey Badgers will be their division rivals again (and also get to play the Warriors team that knocked them out of last year’s playoffs). The Manchester Mayhem are now the Manchester Crows, but they’re in familiar surroundings in the South, setting up another couple of city derbies with the Manchester Titans. The Beeston Bears very nearly snuck into the league last season, but they’ll be making their debut belatedly in 2015. Crikey. 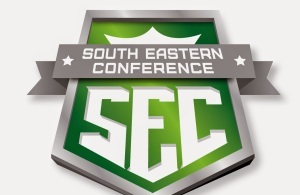 Much like the Highland North, the South-Eastern North division has had a bit of a facelift. Only half of the 2014 teams remain from a group that the Showboats dominated last year. And West Essex will be confident of returning to the knockouts again this year, with three rookie sides finding their feet in the seven-team division. The Blisworth Five (calling Enid Blyton) and Buckinghamshire Wolves make their debuts in 2015, and they’ll be joined by a Reading Lions second team which emerged after the Lions went on a summer recruiting frenzy. The other division rivals will be the Ware Wolves, the Aylesbury Vale Spartans (who will be looking to get into the win column in 2015), and the Westcliff Storm, who make their way over from the South. In the South division, the rivalry is still red hot. The London Rebels, Chichester Sharks and Reading Lions put on a huge show last year, and Reading certainly had the quality to qualify for the playoffs. However, it wasn’t to be, and they’ll be trying to force their way in this time around. The Rebels’ title defence ended early, losing to Leicester in the Southern Playoffs, but they’ll be ones to watch once again. And the Sharks have a flair for the dramatic, as their fingernail-whitening finish to the regular season illustrated. Elsewhere, two teams have turned up to the party wearing the same dress: Unless there’s a sudden change of name between now and April, we’ve got two Barracudas in the South: London and Basingstoke. Well, Basingstoke has an “s” at the end, which I’m sure will iron out any confusion. 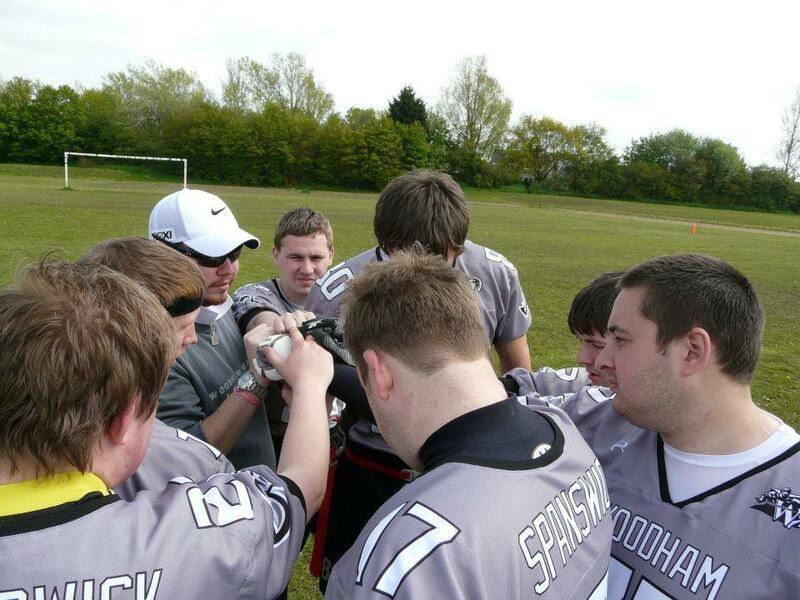 The Victoria Park Panthers will be looking to improve on last year in a tricky division. 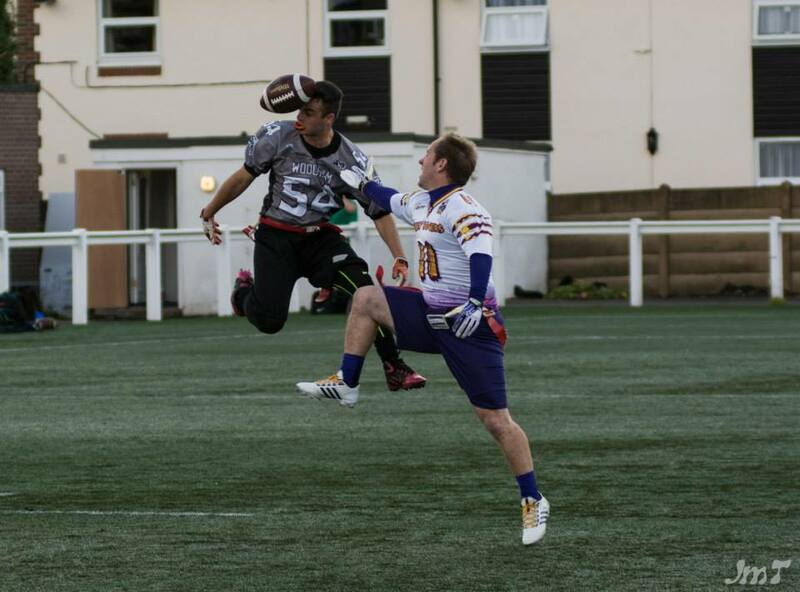 It’s not totally unreasonable to say that the 2014 Britbowl champion Hurricanes came slightly out of left-field. But Cardiff were good value for their win, which was built on good, calm decisions and a strong defense. In fact, they’ve been on a frankly ridiculous run over the last year, putting together a winning streak in all competitions that’s approaching 60 games. They’ll get a chance to extend that streak in a division that’s much the same as last year, bar one change. The Oxford Killer Ponies have made way for the Gloucester Centurions, who fielded a women’s team in this winter’s Opal Series. Otherwise, there’s a return for the Merthyr Tydfil Thunder Ducks, the Plymouth Buccaneers, and the Solent Thrashers side that so-very-nearly unseated the West Essex Showboats in last year’s Southern playoffs. There’s a distinctly Midlands feel to the SW North. The defending division champions – The Leicester Eagles – will once again face off against the Coventry Cougars, but they’ve got new neighbours in the form of the duo from Northants. The Titans and Phantoms have moved over from the SEC North, and will renew their rivalry in a new home. Elsewhere, the Birmingham Lions flag team make their debut, and – much like the London Blitz last year – we’ll be waiting to see if their flag side can capture a bit of their kitted reputation.